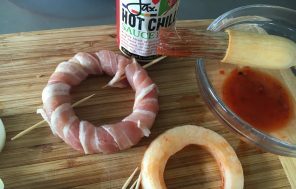 Paint onion rings with my Hot Chilli Sauce, wrap in streaky bacon, grill or fry and add to a full English Breakfast, Steak and Chips or in front of the table with my chilli-mayo dipping sauce. 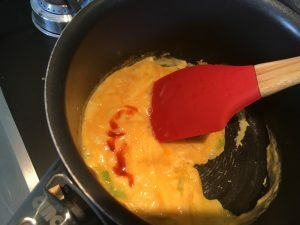 Add 2 tbsp to 1/4 cup of mayo for a spicy, creamy deliciousness. Feeling a little ropey after a night on the tiles? 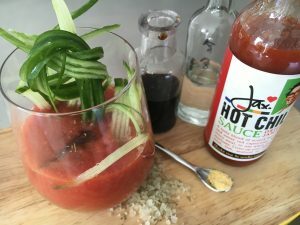 Add a dash of my Hot Chilli Sauce to 250ml tomato juice, pinch celery salt, pinch mustard powder, dash of Worcester Sauce, 50 ml vodka, garnish with celery sticks, cucumber and mint. 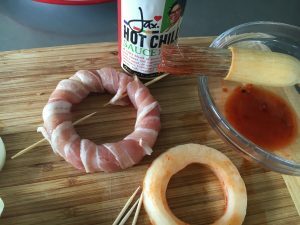 Stir, drink, relax and enjoy. 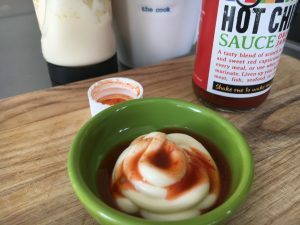 Amp up your eggs with a dash or more of my Hot Chilli Sauce and cook as normal.